The closing ceremony was held at the NATO-Georgia Joint-Training and Evaluation Center (JTEC). First Deputy Chief of the Defence Forces Colonel Nikoloz Janjgava, the U.S. Army Lieutenant General John C. Thomson III and Deputy Commander/Chief of Staff of the NATO Joint Force Training Centre (JFTC) Brigadier General Ladislav Jung attended the ceremony. During the ceremony, First Deputy Chief of the Defence Forces congratulated the exercise participants on the successful accomplishment of the exercise and outlined that the exercise was an excellent example of the productive cooperation. “We all worked hard to make this remarkable event happen. We are able to conclude that the Exercise fulfilled its objectives which are, among others, to enhance our capabilities and improve our interoperability with the Allied staffs.”- stated Colonel Nikoloz Janjgava. The official closing ceremony of the exercise concluded with an award ceremony. First Deputy Chief of the Defence Forces Colonel Janjgava and Lieutenant General Thomson presented certificates to the participants. “NATO-Georgia Exercise 2019” (Computer Assisted/Command Post Exercise – CAX/CPX), held from 18-29 March, 2019 at the NATO-Georgia Joint Training and Evaluation Centre (JTEC) at National Centre “Krtsanisi” and involved around 350 personnel. “NATO-Georgia Exercise 2019” was the first NATO multinational brigade-level command post exercise conducted and led by the Georgian Defence Forces. This exercise was designed to train a Georgian-led multinational brigade headquarters staff to plan, coordinate and execute scenario-based military responses to humanitarian crises. It was also testing the interoperability of Georgian, Allied and Partner Forces, as well as Georgian command and control capabilities. Additionally, it tested the ability to adopt a comprehensive approach to a non-article 5 crisis response, involving civil-military cooperation with international organizations and non-governmental organizations. Humanitarian bodies like the inter-governmental organizations: International Committee of the Red Cross (ICRC) and United Nations Department of Peacekeeping Operations (DPKO) – were represented during the exercise, providing direct feedback and mentorship to exercise participants. This was the second NATO-Georgia Exercise to take place through the Substantial NATO-Georgia Package (SNGP) framework – a set of 15 defence capacity building Initiatives agreed between Georgia and NATO at the Wales Summit in 2014, and reinforced at the Warsaw Summit in 2016. The first NATO-Georgia Exercise was conducted in 2016 involving 15 NATO allied and partner nations. 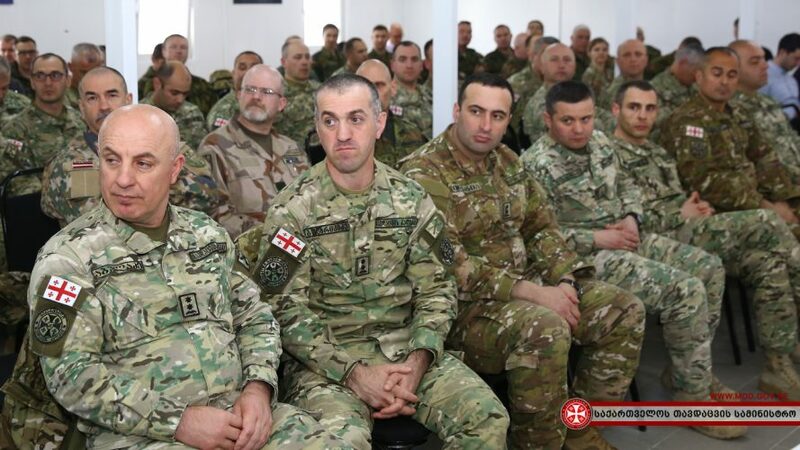 “NATO-Georgia Exercise 2019” was scheduled by NATO Allied Command Transformation, conducted by the Georgian General Staff with mentoring from NATO Allied Land Command. It was directed by the NATO-Georgia Joint Training and Evaluation Center, and mentored by the NATO Joint Force Training Centre. This exercise was comprised of 21 Allied Nations (Albania, Belgium, Bulgaria, Czech Republic, Germany, Denmark, Estonia, France, Greece, Hungary, Latvia, Lithuania, Netherlands, Norway, Poland, Portugal, Romania, Slovakia, Turkey, United Kingdom, United States) and 3 Partner Nations (Azerbaijan, Georgia as the Host Nation and Sweden).